It's a well established pattern that large orchestral sample companies, having dished up the traditional four courses of strings, brass, woodwind and percussion, eventually get around to serving dessert in the shape of a choir library. 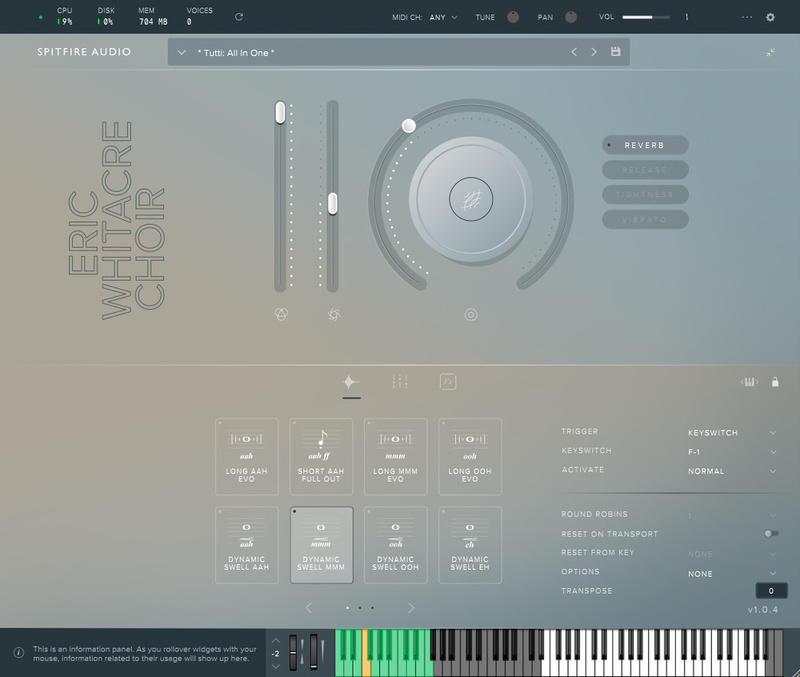 Spitfire Audio's users have been banging their forks on the table and demanding such a thing for years, and their wish was finally granted when the company announced its new choral offering in October 2018. The library didn't follow the path most would have predicted — in fact, it came about as a result of a random encounter. Spitfire's Christian Henson was working in a studio complex in North West London when "a striking looking American chap" dropped by to check out the facilities. Introduced as "someone who does a lot of choral compositions", the visitor then disappeared into the studio of Henson's colleague Paul Thomson a few doors away and exchanged pleasantries before taking his leave. 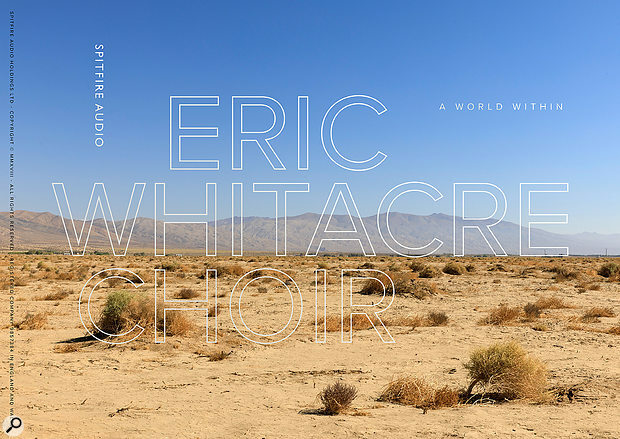 Minutes later, it simultaneously occurred to the two gobsmacked Englishmen that the dashing American was none other than Eric Whitacre, a world-famous choral composer whose work both held in the highest esteem. A flurry of emails ensued, laying the foundation for what was to become a fruitful and enjoyable collaboration. Spitfire's Eric Whitacre Choir (EWC for short) features 22 singers handpicked from the award-winning Eric Whitacre Singers, a globetrotting professional choir who, as luck would have it, are conveniently based in the UK. Under the direction of their US maestro, the singers' performances were captured from multiple mic positions in AIR Studios' Lyndhurst Hall, Spitfire's home from home and recording location for most of the company's projects. This library doesn't run on Kontakt: it's housed in a new plug-in format designed with the assistance of "design and user experience agency" UsTwo, creators of the Escher-inspired Monument Valley video game. 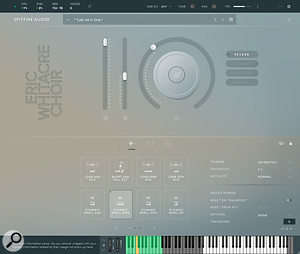 The samples work only with this new sound engine, which comprises two plug-ins: the EW Choir version, and the more elaborate EW Choir Evo Grid, which offers comprehensive control of the singers' evolving performances (more on which later). Both are included when you buy the library. Spitfire's new plug-in for EWC, with keyswitches marked in green.Though Spitfire confusingly refer to them as "stand-alone plug-ins", they need to run inside a host program such as Logic X, Cubase or Pro Tools, and will not operate in stand-alone mode on your desktop. Unsurprisingly, this is a large collection — its 88,550 samples, compressed down from their original 279.1GB size, constitute a 164.6GB download. Those left languishing with a slow broadband connection may therefore be tempted to order the library on hard drive, which entails extra cost.